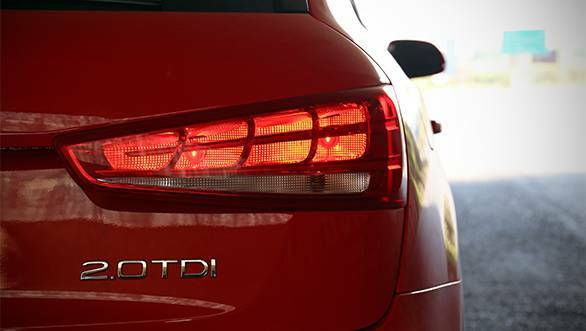 A modern day Audi without LEDs is like a Mississippi mud pie without chocolate. Chocolate is after all this particular mud pie's defining and most visible ingredient. 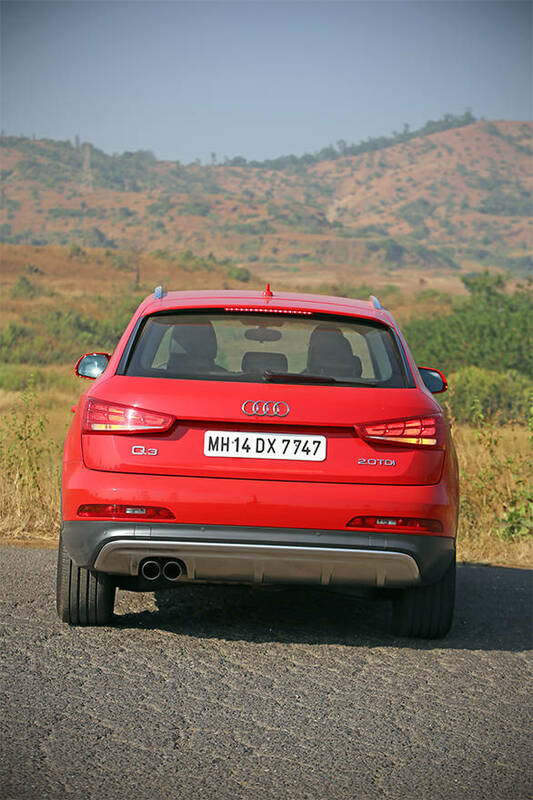 The new Q3 S minus LEDs for its head and tail lamps isn't exactly a true modern day Audi in that sense. The good bit is, past the LED disappointment, the Q3 S is actually quite an impressive product. At Rs 31 lakh on road in Mumbai, it is priced similar to the likes of the BMW 1 Series and the Mercedes A-Class. But compared to the latter two Germans, the Q3 S is bigger, brawnier and more practical. It is an SUV while the 1 and the A are hatchbacks. So, it is better suited to our challenging and changing road conditions. It is also more spacious, and has a bigger, more usable boot. 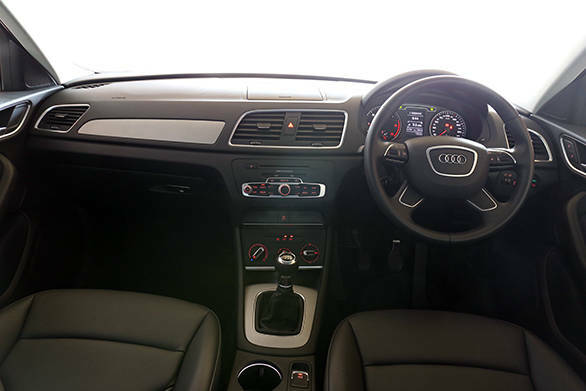 Furthermore, the Q3 S has comfortable seats, a good driving position and decent visibility. The S is the cheapest Q3 on sale currently, and that means, it isn't as well specced as the other Q3s. It doesn't get an automatic climate control system; the multifunctional display is more basic and dated looking; and the front passenger seat isn't electrically powered even. There's also no keyless start, no reversing camera, and on the safety end, no rear side airbags or tyre pressure monitoring system. 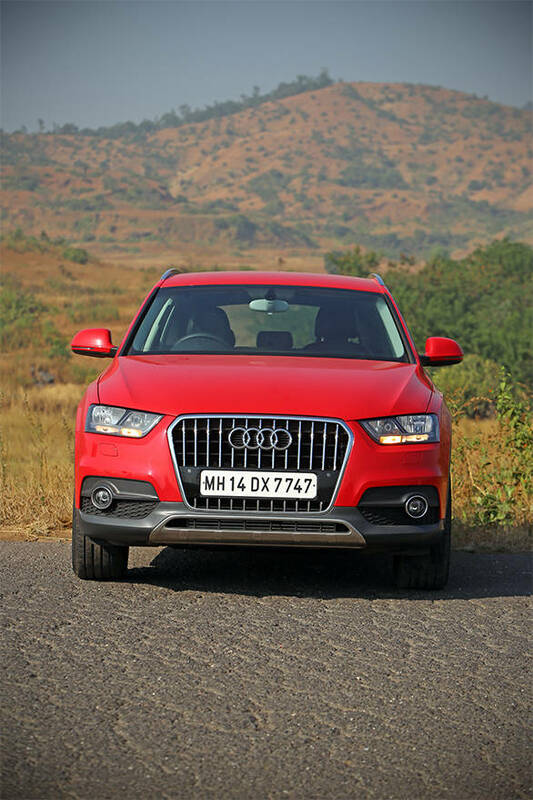 On the outside, besides lack of LEDs, the Q3 S also doesn't get washers or auto levelling for the headlamps. 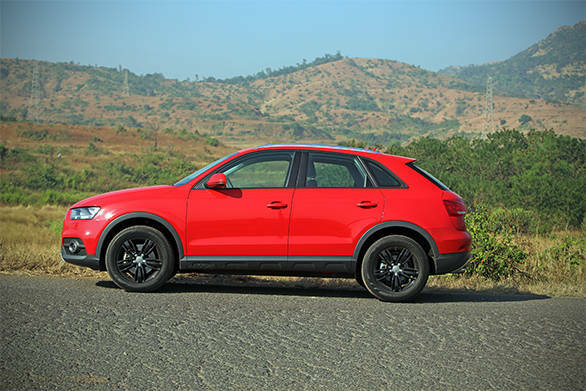 There's also no panoramic sunroof, even as an option and the Q3 S only comes with 16 inch wheels as standard shod with 215-section tyres. The press car you see here though (for obvious visual reasons) runs 17 inch wheels and wider 235mm rubber. The Q3 S doesn't get the dual clutch automatic gearbox either. Instead, there is a six-speed manual. 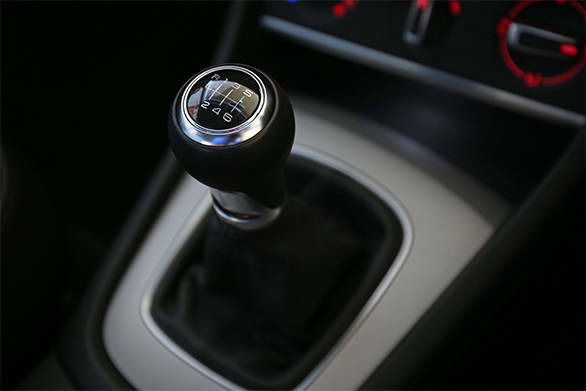 Naturally, the manual is more tedious to use than the auto, particularly in the city or when one wants to take it on a relaxed highway commute. A heavy and a tad vague clutch action doesn't help either. Moreover, one can feel vibrations through the pedal which makes driving in bumper to bumper even more bothersome. The gear shifts though are short-throw and precise. 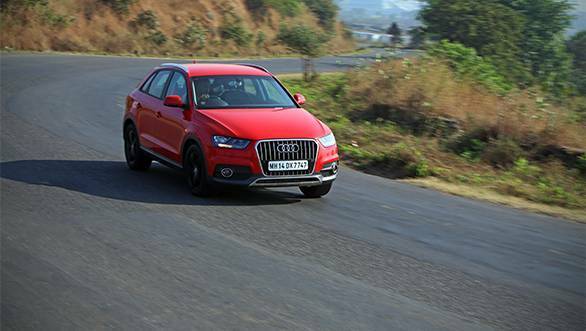 And, with well positioned floor pedals, the Q3 S can be good fun when driven hard up a mountain road. But, one must remember even though it does come with a stability program, the S is only front wheel driven. 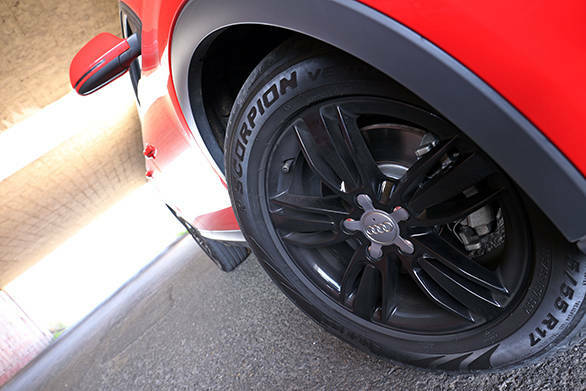 And, therefore, overall grip levels particularly when exiting tighter corners just isn't as good as the quattro Q3s. The Q3 S is also the least powerful Q3 on sale. 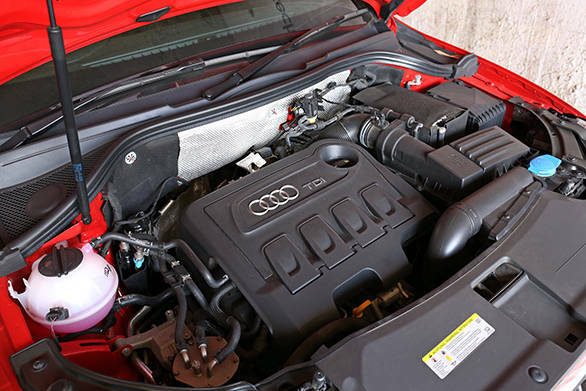 It uses the same 2-litre diesel as the other diesel Q3s, but on the S, the engine makes 140PS compared to 177PS developed by the more expensive versions. As a result, it takes almost two seconds extra to complete the 0-100kmph run with a time of 10.1s. The top speed at 202kmph, is lower as well. The S though is lighter, by almost 150kg, and that means, it is more fuel efficient. This loss of weight is mainly down to the lack of the quattro system and some features. The Q3 S returned nearly 2kmpl more in the city. The Q3 S, as we see it, is a smart move on Audi's part. It isn't as luxurious or pampering as the others in the range, but for the price, it makes a compelling case for itself. It does retain quite a few pluses of the regular Q3, after all - it has a nice ride, comfortable interiors, an eager and refined engine and easily the most commanding stance and view among luxury cars at this price. But, for it to really taste sweet, the Q3 S must also get LEDs on the outside...as standard.